Researchers working with data from the Japanese Hayabusa2 spacecraft have announced what they've learned from their observations of the strangely shaped asteroid Ryugu. The probe arrived at the 900 metre wide asteroid last June, and last month briefly touched down on the surface. The material scooped up from Ryugu will be analyzed when the probe returns to Earth late next year. In the meantime, the Hayabusa 2 collected enough images and other data from Ryugu to let researchers - including Seiji Sugita from the University of Tokyo's Department of Earth and Planetary Science, and the Japan Aerospace Exploration Agency - in on some of its secrets. The ingredients for life on Earth originated in space, and Ryugu may reveal clues to understanding which materials were available, and in what quantities, in the early solar system. 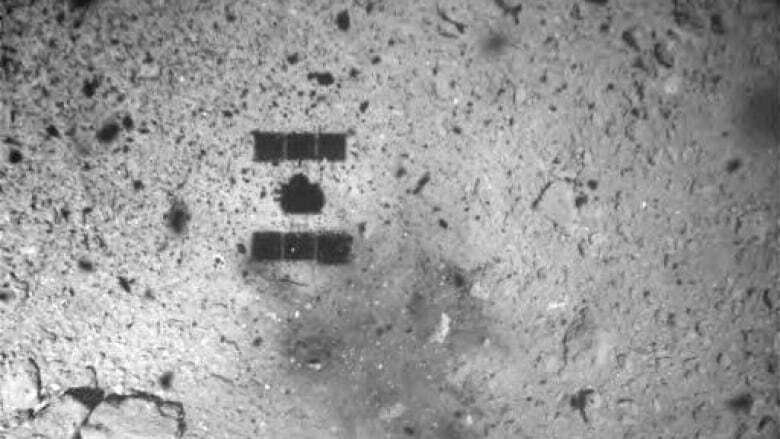 Ryugu was discovered in May of 1999 by astronomers working in New Mexico. It was named Ryugu after the magical underwater Dragon Palace in a Japanese folk tale. The asteroid is located between Earth and Mars and obits the Sun once every 16 months. Hayabusa2 was launched to rendezvous with Ryugu, land on it and retrieve samples from its surface to return to Earth. The mission includes four rovers and a variety of scientific instruments for collecting images and data. 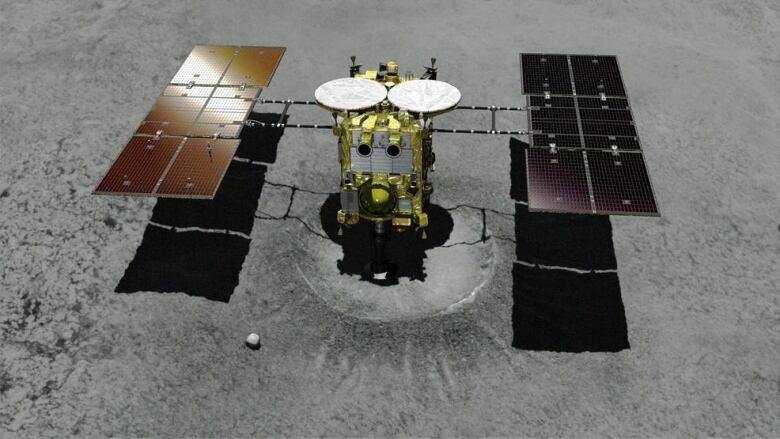 In September two rovers were deployed to the surface, and on February 22, as Hayabusa2 touched down, it fired a projectile into the surface in order to puff up dust and rock for easier collection. The scientists hope to have collected as much as 1 gram of material, which will be analyzed for its chemical composition on it's return next year. Hayabusa 2 collected a lot of images and data about Ryugu. The first and most obvious conclusion they've drawn is that the asteroid is shaped like a spinning top. 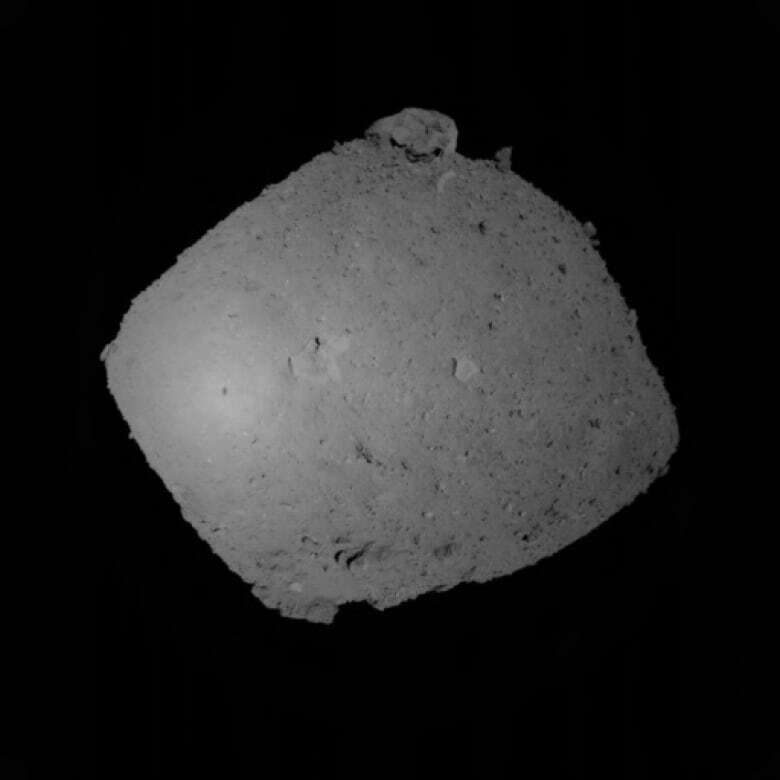 Hayabusa2 also found that the surface of the asteroid is quite different from what ground-based observations had suggested. The scientists were surprised to see that the asteroid is mostly rubble with large voids so as much as 50 per cent of it's volume could be empty space. The rough surface, akin to a Japanese rock garden according to Sugita, made finding a smooth surface for landing difficult. A visible light camera and an infrared spectrometer were used to analyze the colour of the boulders on the surface. Their dark colour indicates that they are mostly carbon, which also suggests a lack of water in the form of hydrous minerals in rock. Water and any organic mater would make the boulders appear a lighter colour. This is a significant find because it is thought that most of the water on Earth came from asteroids. The lack of water on Ryugu also present scientists like Sugita with a puzzle. That is because the asteroid Bennu, currently being studied by NASA, is similar in many ways to Ryugu, including colour and shape, but has much more water. Next month, Hayabusa 2 will make a second touch down on Ryugu and fire a larger projectile deeper into the asteroid. This will provide information about what lies below the surface.